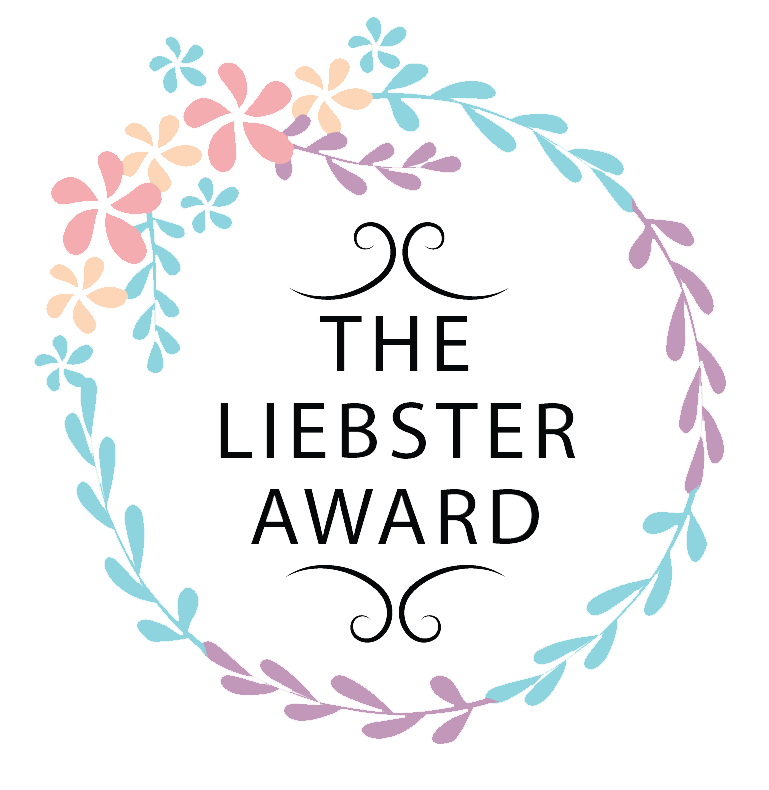 I’m going to be honest, I didn’t know what the Liebster Award was (It’s an award that recognizes smaller blogs, which have a creative way of showing its content. It’s given from bloggers to bloggers), but never in a million years did I think that I would be nominated for any sort of award for Borders & Bucket Lists. Sure, I put in a ton of effort and try to create content that is actually new and infused with local culture. But even with all that, it takes something a little extra to become recognized. And in this case, that lil something was Angie from Boots on the Ground. She’s an animal lover, innovative photographer, self-proclaimed wildlife guardian, and globe wanderer. She is currently based in Africa, where she runs a non-profit to help the efforts of animal rescue in the area. Go check out her blog! My name is Sarah, a soon-to-be college graduate and aspiring travel writer (Shameless plug: anyone looking to hire? Lol). I’ve basically spent my entire life in Hawaii, which exposed me to stunning natural landscapes and so many wonderful cultures. Then, there were my travels. They started off with amazing trips with my family across five different continents, and now they’ve expanded to include trips with friends as well. So why have I decided to write about my trips, you ask? Throughout my life, I’ve noticed that people are afraid of what (or who) they don’t know. I’ve been the first person someone has met that’s “from Hawaii” or “of Egyptian descent” so many times. I’ve been able to clear up misconceptions and expand worldviews. And that’s just my story. Imagine what would happen if I shared the stories of others! So I’ve decided to write about my cultural experiences to help others become more acceptant of unfamiliar cultures. For a bit more about me, feel free to check out my About page. A friend and I have a bucket list of beaches with weird animals. It now includes beaches with pigs, elephants, and wallabies. I once held a spoon in my hand for nearly all waking hours for three months (yes, there was a reason). Both of my pinky fingers are quite crooked. They’ve been that way since I was born. I forgot how to ride a bike (I discovered this during the Sound of Music bike tour in Salzburg, Austria. I did not complete the tour lol). My greatest pet peeve is when people say “shaved ice” instead of “shave ice” (That’s how you know I’m a Hawaii local). I’m currently working on my college thesis paper on the local Hawaii dialect called pidgin – learn a bit more about it in this post. I once walked across an entire country. What was your inspiration to start traveling the world and writing about it? The first time I left the United States, it was with my family when I was 12 years old. We were headed to Paris and Cairo. Paris was meant to be the for-fun destination, where we would eat a ridiculous number of French baguettes with Roquefort cheese and climb the Eiffel Tower. Cairo was meant to be the family-visiting destination, as both of my parents were born in Egypt and we still have family there. I, however, didn’t decide to start writing about my journey until seven years after that – partially because I was afraid of putting myself out there and partially because nearly every “Terms & Conditions” page I read in reference to any blogging materials (a platform, certain social media sites, certain plug-ins) required that one be “18 years or older.” I eventually decided to take the plunge during the summer of 2016, as it was the summer before I was going to study abroad in Switzerland, and I definitely wanted to write about my travel journey then. Have you ever watched a documentary about a place, a national park, an animal or a city that had you throw all your plans overboard and start from scratch to travel there? I honestly can’t say I have, but that’s only because I don’t do a ton of planning. With most of the trips that I’ve been on, I’ve ended up with this really cool deal. Basically, someone else plans nearly the whole trip (I have a lot of people who very much enjoy planning in my life), and I get asked to come along as some great company. Where did you make lasting memories that will always stick with you? Honestly, there are so many places and times with such memorable moments. However, as for the most memorable, I think it’s not so much of “where” as “when.” As I mentioned before, I studied abroad in Switzerland for eight months. During those eight months, my friends and I would jet off on weekends and have crazy adventures like climbing through caves in Greece, sleeping in ratty tents during a sandstorm in Morocco, or heading off to see the Matterhorn in the middle of finals week. What was the biggest adventure so far? When I read this question, so many options popped into my head. I think I’m going to go with the time I randomly pointed to a place on a map and decided to take a train there. Oh, and my parents came with me. My parents and I were on a cruise in the Mediterranean. In a couple of days, we were about to reach the port city of Civitavecchia (which is where everyone gets off to go see Rome). My parents and I were signed up for a lovely excursion with a bunch of sights and activities that we hadn’t seen or done yet (it would’ve been our third trip to Rome). And then we got a call from the excursions desk – we were the only three people on the entire 3,000-person boat to sign up for that excursion. It was cancelled. And we did. We hopped on a train that dropped us off at a station that looked like a slightly oversized, pink wooden house. And we walked. We eventually reached a marsh-like area where we saw a bunch of birds – but they didn’t see like the usual white birds that I picture. I took out my camera and zoomed in as far as the lens would go. The arched necks and pink color started to come into focus. 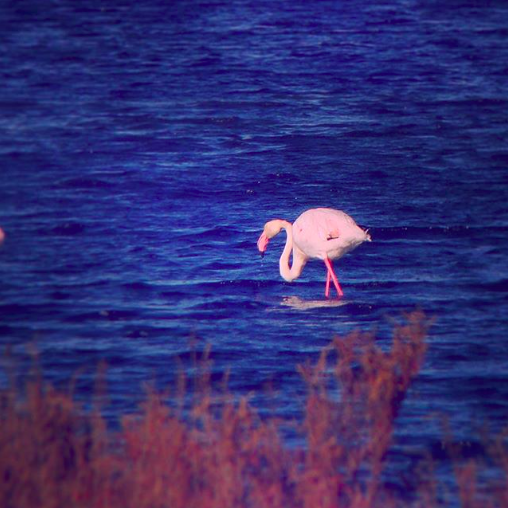 We had found hundreds of wild flamingos! What animal would you really like to see in the wild? And why? DOLPHINS!! Okay, I am actually quite frustrated with this venture, because basically everyone who has grown up in Hawaii and likes the water has swam with wild dolphins – except for me. Every time I go out to the supposed “right” location at the “right” time, the dolphins don’t feel like coming that day. Hopefully one day I’ll be able to see them in their natural habitat. What is the one destination that you will never go back to and why? Because I’m not usually the planner and I haven’t been traumatized by any destination (at least not yet), there isn’t anywhere I wouldn’t go back to. I very much have a “say yes” mentality (although I have my limits), which means I’ll do things like end up in Austria three times in six months, instead of creating a “never-again” destination. 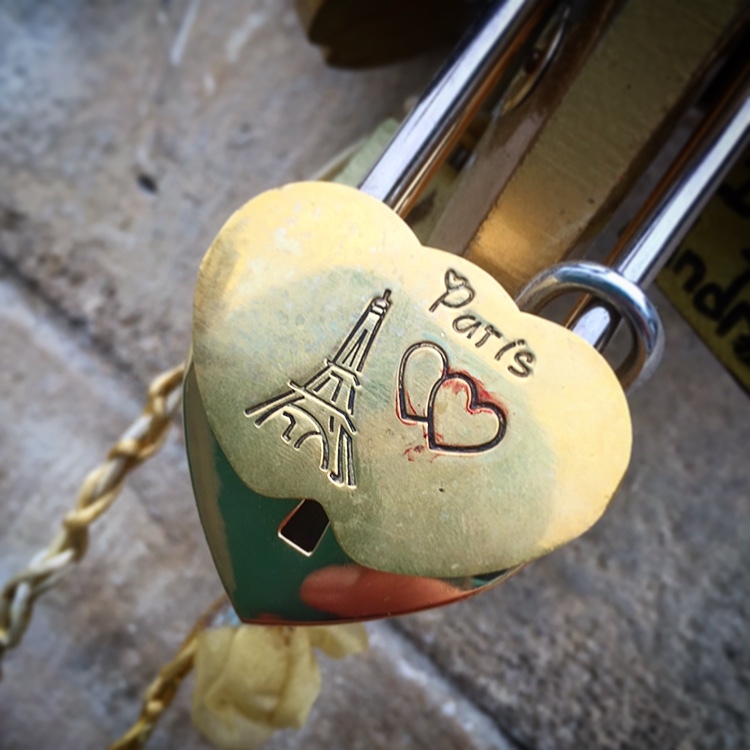 What are your sacrifices to be able to do what you love: travel the world? I suppose job security. Right now, I am still in college – as an English major. I chose to be an English major in order to become a travel writer. I could’ve easily chosen a more “secure” major. (My chemistry teacher actually asked me to become a pre-med student because I did so well in her class.) But I chose the wobbly, uncertain path of an English major. Do you have any tips on how to prepare, how to get comfortable and ready for a long-distance flight? I would like to consider myself as a long-distance flight aficionado, as the shortest flight from Hawaii to another land mass is six hours. First of all, I would like to say that I am truly sorry for anyone who can’t sleep on airplanes, because I knock out the second the plane starts moving on the runway. Like we don’t even have to be in the air yet. As for my tips, I think the first step should be to make the airport experience overall as hassle-free as possible. How are you supposed to enjoy your flight when you’re busy being angry about the extra $75 you had to pay for your bag because it was six pounds over the weight limit? I actually have a whole post on how to have a hassle-free airport experience, if you want some tips. Second, make sure you’ve downloaded some awesome songs and entertaining movies. And add a fully-charged external battery pack in case you have my luck and the onboard outlet never seems to work. What was your strangest meal so far? There’s a restaurant on Oahu that secretly serves stingray. The guests don’t even know that they are eating it. It’s actually so good – its smooth and creamy, which was surprising. Now you just have to find out which restaurant I’m talking about. With what culture were you able to connect the most? I find myself connecting with most cultures – I find the similarities instead of the differences, and I see the differences as simply differences, not something that is “wrong”. That being said, I think I’ll say Canadian culture. When I went to Vancouver, Canada, I wondered why Vancouver wasn’t being talked about more as a travel destination. I thought it was so underrated (so much so, I wrote an entire post about how underrated it is!). The people were so nice, the food scene was so diverse, and there was so much nature to explore – and then I realized those were characteristics of the Hawaii I grew up in. It still describes Hawaii to some extent, but I’ve noticed that our “aloha spirit” has started to dwindle and more and more of the nature is being closed off due to irresponsible visitors (we still have great food though). In Vancouver, those qualities are still shining bright. Do your travels have a soundtrack? Could you please share a few songs with us and tell us the story connected to them? I love this question! My playlist on Spotify for this is called “all the mems,” and it consists of a bunch of songs that have distinct memories tied to them (many of them are travel-related). First, I have to put “Closer” by the Chainsmokers. This kind of became the anthem of all of the people who studied abroad in Switzerland with me. Why? I have no idea. But it will always hold a special place in my heart. The second song I would like to include is “Mess is Mine” by Vance Joy. A couple of friends and I decided to walk across the entire country of Liechtenstein in a day. All 18 miles of it. 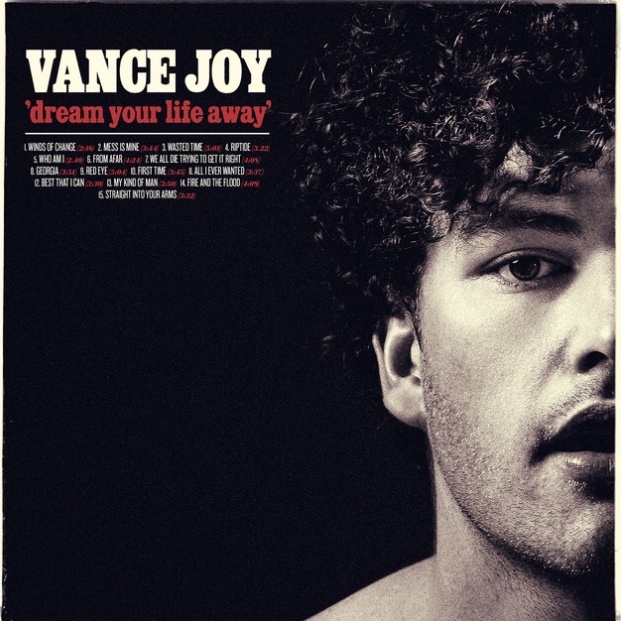 One of the clearest songs I remember playing was “Mess is Mine” by Vance Joy, because I had never heard the song before, but I’d recognized the voice. So we played it a few more times as we were walking across the country. My last song is “Bleeding Love” by Leona Lewis. The memory has absolutely nothing to do with what the song is about. On a trip to the Spanish island of Mallorca, our five-person car got quite lost. We stopped for dinner at a random little restaurant, where we literally ordered the entire tapas menu and downloaded a Spotify sing-along playlist. We got back in the car (with me squished in the middle) and “Bleeding Love” came on. I thought it was going to be one of those songs that everyone kind of pretends like they know only a few of the words. Wow, I was so wrong. The three dudes in the car pulled out their off-key falsetto voices and started belting with Leona Lewis! I legitimately started crying of laughter. Sorry Leona. In my mind, this is no longer a sad song. When I was picking my nominees, the ladies, Maya and Sari, of Chasing Lenscapes first came to mind. I absolutely love their photography style and the way that they manage to capture a culture of a place. That Kiwi Hiker is also one of my nominees. I love travelling, she loves travelling. I love hiking, she loves hiking (although on a much more intense scale). Leah and Dedan from Officer Travels is the third of my nominees. Instead of leading the life that they were expected to live, they chose to go off on a journey of their own that actually made them happy. It takes some guts to do that. I recently stumbled across The Atlas Edit run by Stephanie completely by accident, and I thought she could provide an interesting perspective on some of my fun little questions. With her Malaysian, Australian, and “hybrid nomad” identities, she may answer these questions a little differently. And last but not least, I would like to nominate Alyssa from AlyssaAllDay Adventures. 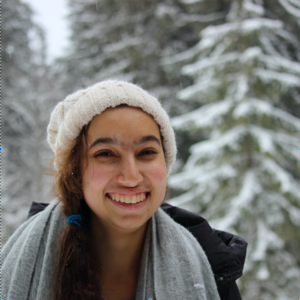 As an independent travel designer and a coconut octopus-Serval (a type of African cat) combo in spirit, Alyssa is an experienced, quirky, and creative spirit. Questions for My Nominees – I hope you have fun with these! Tell us about how you started travel writing. I’m stealing this question from Angie, because I loved it so much. Do your travels have a soundtrack? Could you please share a few songs with us and tell us the story connected to them? Do you have an adventure that was so wild that you actually avoid telling people about it because you don’t want to worry them?If you’re feeling extra brave today, want to share it? Do you think that certain aspects of blogging (examples: social media, photography, blog writing) portray the aspects of travel you are trying to share more effectively than others? Why do you think this is? What destination do you find yourself recommending to people over and over again? Write the food you are craving right now. Don’t think about it. Just write whatever popped into your head first. What aspect of foreign cultures do you find yourself most drawn to? Why do you think that is? If you were to describe yourself as a souvenir, what would you be and why? Is there any item that you only purchase at home? In other words, is there an item that has no other replacement anywhere in the world? You are on a dream around-the-world trip. 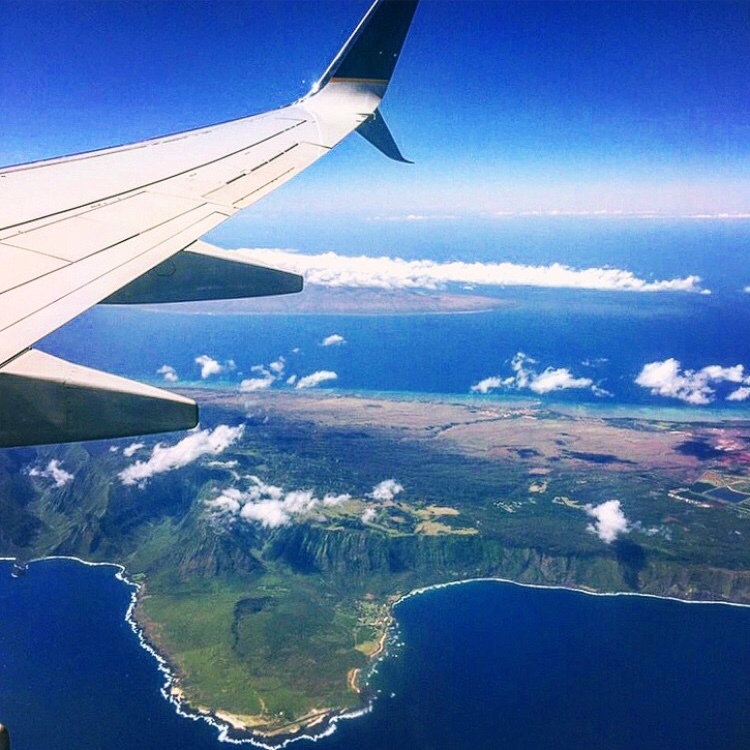 You have a quick layover in Hawaii – one that is only long enough for you to do a single thing. 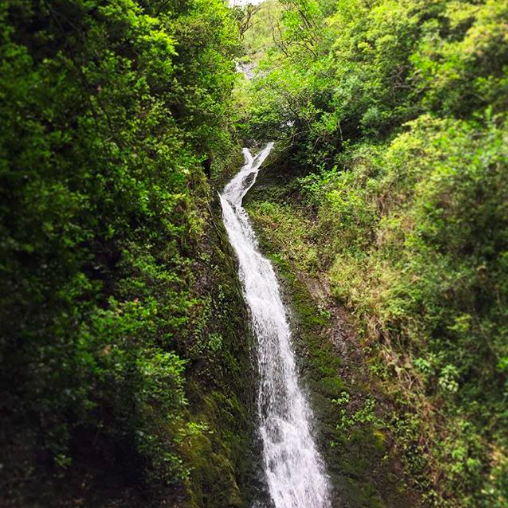 What would you do with your time in Hawaii and why? What goal do you hope to achieve by travel writing? Is there something that you hope will happen due to your influence? Read all about the Liebster Award here. Okay I ll help you out with the dolphins. She does that for a living! Lol I love these fun facts!! And ooh thanks for the dolphins tip!! I’m definitely going to check her out on Insta. Oh wow, thank you!! Great questions too! This is so great! What a wonderful honor and a really fun intro to you and your writing! I will be following along, and checking out sll the great bloggers you’ve mentioned! Aw yay! So glad I added some blogger inspiration for ya :).